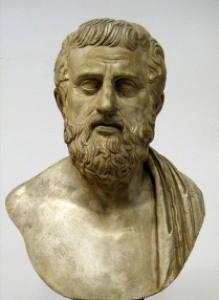 Sophocles contributes to a theory of dynamics of multi level complex systems by developing mathematical and computational formalisms for information processing in such multi level systems. We develop the formalism in the context of criticality, emergence, and tipping points in multi level systems and apply it to real data. This will lead to a better understanding, but more importantly, to an improvement in predictive power for early warning. Can we observe tell-tales of things to happen in the (near) future? We relate the emergence of structures and collective effects to the existence of an information-driven phase transition. Emergent structures may mean selection of preferred scales, creation of new levels or annihilation of existing levels in hierarchical complex systems, or occurrence of tipping points leading to extreme phenomena. We believe that these transitions are often self-organized because they appear in a spontaneous way, driven only by the dynamics of the system and the co-evolving topology of the interactions. We have demonstrated how to formalise information processing in complex systems and applied this to study a number of challenging applications, ranging from transfer, storage and processing of information in Elementary Cellular Automata, via phase transitions in the Gray-Scott model in the context of Fisher information and Information Geometry, and information driven emergence of top-down and bottom-up hierarchical systems, to studying information processing for early warning in financial datasets and for detection emerging hierarchical structures in a dataset containing 100 years of new items from the New York Times.